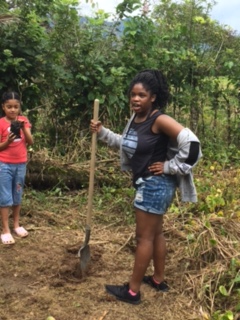 USD$200Support a scholar's time in Costa Rica. The Project Passport Program is a unique program that sends scholars to unique parts of the world. The opportunity to explore another country can be life changing. That is the reason why Galapagos Rockford sends up to ten scholars a year to spend a week in Costa Rica. 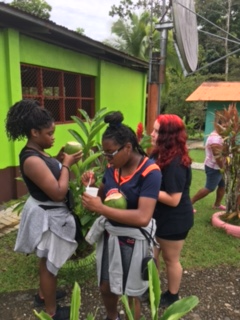 Our scholars get the chance to travel the Costa Rican countryside, explore fruit stands offering exotic fruits, visit an internationally renowned university, and that’s just the first day! Scholars sleep in the rain forest, work with biologists to create habitats for local wildlife, and discover the sights and sounds of the forest at night. For the last couple of years, we have visited a local school to which Costa Rican students walk nearly an hour and a half to get to class. Our adventures have even taken us to the far reaches of the indigenous Bri-Bri community bordering Panama. It’s an opportunity that is earned by our scholars and requires a lot of hard work but in the end it’s pura vida. 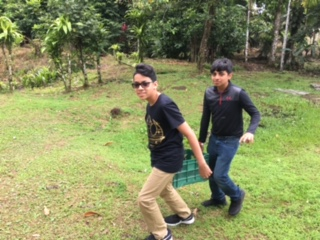 Like all of our programs, the Program to Costa Rica relies on generous donations from individuals like you to ensure that we can offer this opportunity.